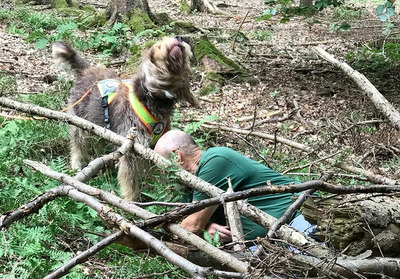 This page on our website is dedicated to Otterhound’s and their owners at work. It can be anything from tracking, obedience, Man-trailing and and and........!!! We have a couple of hounds here already and are hoping to get many more, please, if you do something special with your Otterhound (even if you don‘t feel it is that special) contact us and send your pictures and story!!!! We are also happy to tell stories of other Hounds, So long as it is a Hound anything goes!!!!! We are sure there must be more out there. So please, send us your story!!!! Heute waren schon 6 visitors (20 hits) hier!